Atlus USA is blessing us with another dungeon-crawling RPG in the form of Persona Q2: New Cinema Labyrinth, as well as a new trailer running down what we can expect from it. The trailer places a heavy focus on the game's Phantom Thieves from Persona 5, who look absolutely adorable in their tiny chibi forms. Persona Q2: New Cinema Labyrinth is a sequel to Persona Q: Shadow of the Labyrinth, which originally debuted on Nintendo 3DS. It's already out in Japan as of November 2018, and it's targeting a worldwide release later this June. 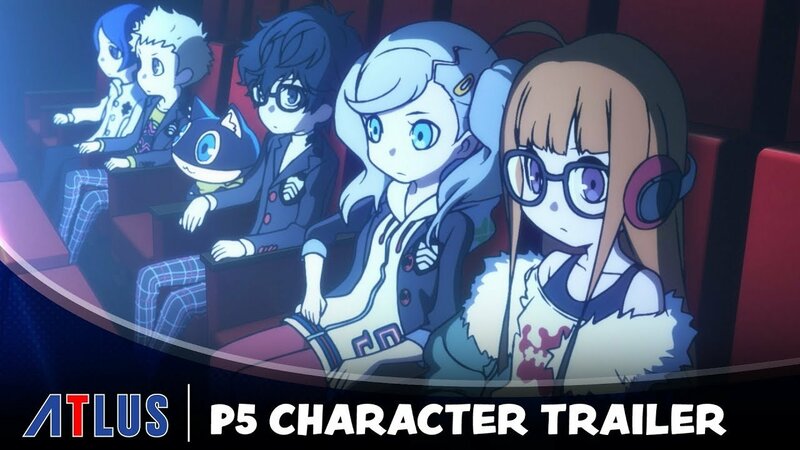 “While Joker may win the trophy for Best Protagonist, the award for Best Supporting Cast goes to the Phantom Thieves from Persona 5, who will help Joker fight the evil lurking in Persona Q2: New Cinema Labyrinth!" reads the video description. Its story focuses on the casts from Persona 3, Persona 4, and Persona 4 as the Phantom Thieves take a trip to Mementos and find themselves trapped in a movie. It's connected to a theater, and they've got to figure out a way to escape this bizarre new place they find themselves in. This game will be much different from the action you may be used to from Persona 5, however, as it's much more tactical and refined than just turn-based combat. But if that's the type of handheld RPG you're looking for, you'll feel right at home here.